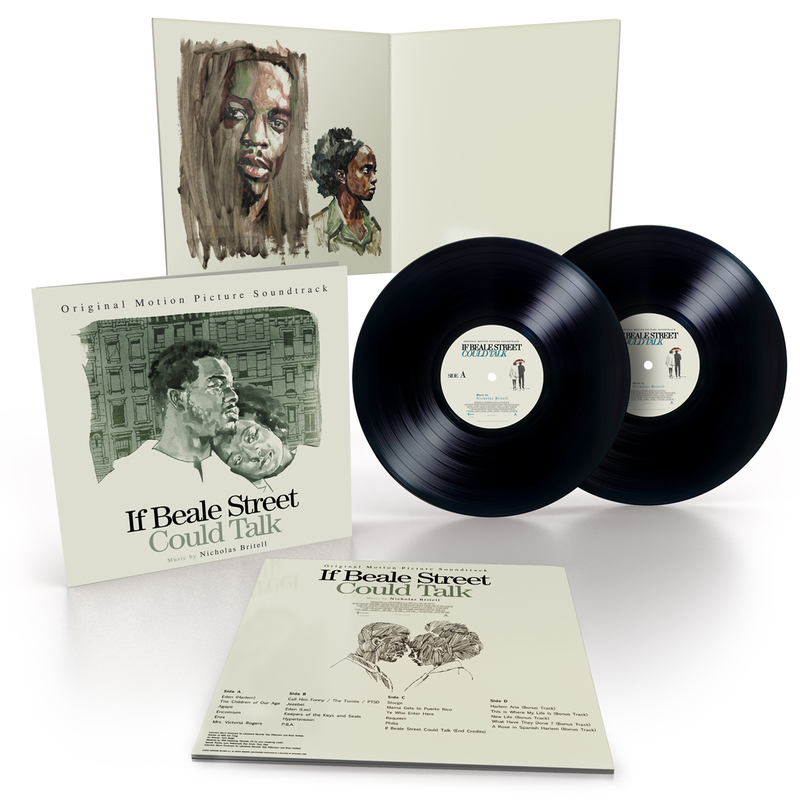 One of the best movie scores of the year, Nicholas Britell‘s If Beale Street Could Talk, is receiving two gorgeous new vinyl releases from Lakeshore Records and Invada Records, and we have an exclusive look at the artwork below. The vinyl editions will be released in vintage period inspired album designs. Check out the art, and other details of the If Beale Street Could Talk vinyl release below. Overwhelming and transcendent, Nicholas Britell‘s lush, knee-weakening score for If Beale Street Could Talk is the very definition of breath-taking. The minute the score kicked in, I felt my eyes begin to water – and nothing had even happened in the movie yet. That’s the power of what Britell has created here – the power to immediately pluck emotion from deep within you with a few notes. In the opening track, “Eden (Harlem)”, Britell transports us immediately into the romantic yet tragic tone of this film. The music rings out, blooming like flowers in abundant sunshine. And yet beneath all the lovely melody, a lone, lonely trumpet rings out a few notes, crying to be heard. No other score this year comes close to achieving what Britell’s Beale Street music does. It breaks your heart while making you whole again. Simply put, it’s magical. “One of [director Barry] Jenkins’s notes to me on the feeling that he wanted, especially there at the beginning, was this feeling of joy,” Britell said. “What does joy sound like?” It sounds like this. 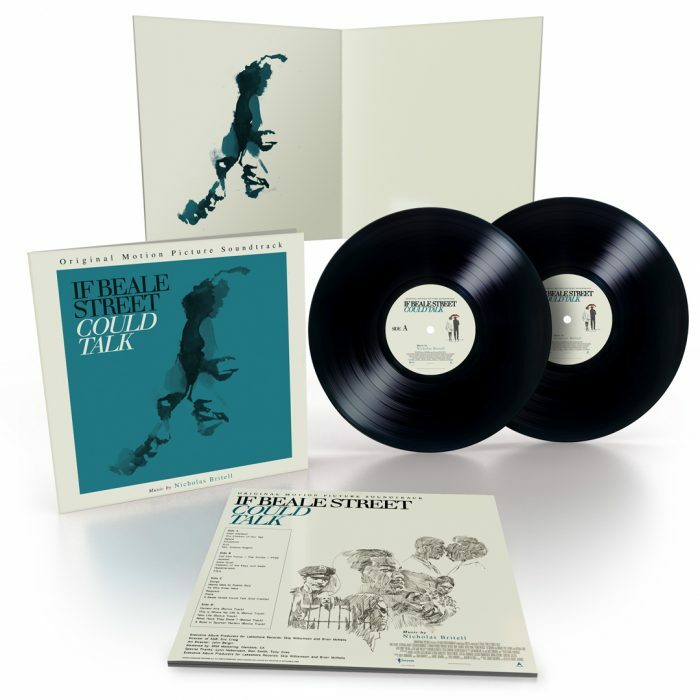 This March, Britell’s Beale Street score is receiving two editions – one for North America, one for the rest of the world – of a beautiful Deluxe Soundtrack Album vinyl release from Lakeshore Records and Invada Records. Each release features a different vintage period inspired album design and illustration by Midnight Marauder and illustrator Tony Stella in collaboration with Director Barry Jenkins and Composer Nicholas Britell. We’re debuting the exclusive art below. Pre-Order Available Now: Here and Here. The post Check Out an Exclusive ‘If Beale Street Could Talk’ Vinyl Debut appeared first on /Film.